Home > News > News > See It Now Before It’s Gone! See It Now Before It’s Gone! 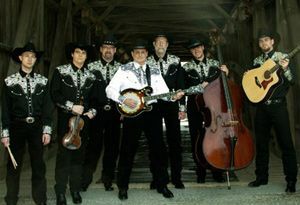 Country Classics is enjoying a terrific run, but we’re winding down to the final few shows. If you’ve not had the opportunity to catch this ultimate country concert yet, make sure you mozie on down to AMT before this foot-stompin’ good-time rides into the sunset on June 30. With more than 40 songs in the line-up, Country Classics pays tribute to some of country music’s greatest songs and singers. We’re sure you’ll hear some of your favorites in this jam-packed country cavalcade. Don’t miss out … come experience some of country music’s most widely-recognized all time favorites and modern day classics. Get your tickets now!